Reading is one of my main interests but I do not often write in any detail about the books I devour. So, in this blog entry, I am going to talk about the past four books I have read. I am trying to read all of my books – a hopeless task but a fascinating one nonetheless. It means you read books you would otherwise almost certainly not pick up or even consider looking at. For instance, I recently read a book simply entitled “Guinness Dublin” which has a dirty brown cover with some partially erased scribbling from a bygone era. Inside on the first facing page, former owners of the book have written their names and addresses: Rev. J F Mulligan, 508 North Fourth Street, Burlington, Iowa and Miss Catherine E. Mulligan, 10 North Pleasant Street, Taunton, Mass. (both in very faded black ink), Master P Mulholland, 5 West Road, Billingham, Co. Durham, England, (1/1/62), and then the same Master P. Mulholland at Forrests Hotel, Hoy, Co. Tyrone, Northern Ireland, and at the Cresswell Arms, Newbiggen, Northumberland. All this is very curious. On the next page, someone has written, in thick pencil, “William IV”. The book itself is a history and guide to St. James’s Gate Brewery, and is packed with information about the brewery and black and white images of its progenitors, Arthur Guinness (1725-1803), the Earl of Iveagh, Chairman of the Company, a previous Earl of Iveagh (1847-1927) and so on. What I liked about this strange and beautiful book was the picture that emerged of Guinness as a paternalistic company looking after its people from cradle to grave. Three fully qualified doctors were on site daily and “any employee, wife or child, may attend for advice and treatment. These privileges are also extended to widows and pensioners”. One of the Medical Officers resided on the premises and “is available at all times day and night” and happy to visit patients at home! In addition to the doctors, “two dentists, two pharmaceutical chemists, two nurses, a lady visitor, a masseuse, four clerks, and several porters and female attendants” were employed. Under the heading “Thrift”, the book gives details of the savings bank that the company has run for its employees for half a century: “Deposits of one shilling or more are received daily in the Cash Office. . . Interest at the rate of Five per cent. gross per annum is credited half-yearly”. It also ran The Guiness Permanent Building Society – “a fund from which [workers] can obtain advances with which to purchase houses to live in” and the St. James Gate Assurance Society so workmen can insure themselves on very favourable terms. Under “Recreation”, the book says that “to enable workmen and their families to enjoy a day in the country every man is granted what is known as ‘Excursion Day’ which may be taken at any time he selects during the Summer. 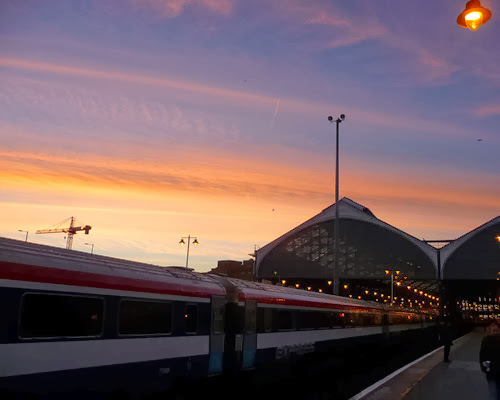 . . Railway tickets are provided in the case of whole families, and, in that of single men, a second ticket is provided for a friend. In the addition to the free tickets, a gratuity of Five Shillings is granted to each married man, and Two Shillings Sixpence to those to those unmarried to ensure, as far as possible, that the excursion may be enjoyable”. On the down side, the additional annual employment ranged from "One Day to Twelve Days", dependent on seniority. Of course, all workers got a non-contributory company pension – worth a small fortune compared with today’s parsimonious stakeholder pensions. No one could fault Guinness in terms of the clubs it provided for its workers. The Fanciers’ and Industrial Association, for instance, was just for Brewery employers and covered the keeping and breeding of pure bred Dogs, Poultry, Pigeons and Cage Birds, the cultivation of Vegetables and Flowers, and home industries including Wood Carving, Cage Making, Fretwork, Sketching, Photography, Cabinet Making, Handwriting and Dancing. There were also classes for the children of employers covering Children’s Dresses, Patching, Darning, Hand-knitting, Plain and Fancy Sewing, Blouse and Hat Making, etc. Phew! An Athletic Union, formed in 1903, organised Association and Gaelic Football, Cricket, Boxing and Physical Culture, Swimming, Hurling, Athletics, Cycling and Tug-of-War. The Brewery had a “very fine Association Football pitch on which two Hockey International Matches have already been played” with a Grand Stand seating 1,000 and a terraced bank for a further 30,000. 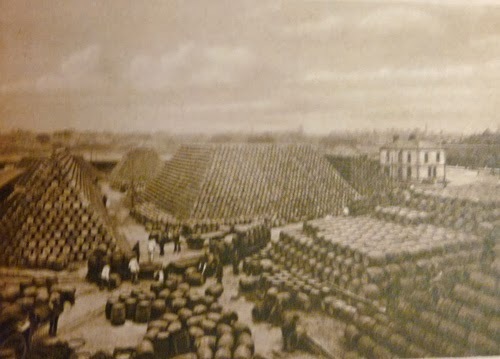 Working for Guinness in Dublin back in the day (we are talking 1920s and 1930s here) was clearly pretty amazing. I have no idea what it is like now. The Pictorial Section at the back is particularly beautiful with scores of monochrome images of boiler houses, old engines, hop wagons, wort refrigerators, fermenting tuns, yeast skimming, cask-making, the cooperage yard, racking room, stables, hoghead lowloaders and the Cross-Channel steamer, named "The Guinness" (unsurprisingly). Finally, having been ill for the past month (everyone around me seems to have been ill), I cannot ignore the medicinal benefits claimed by the book for Guinness. 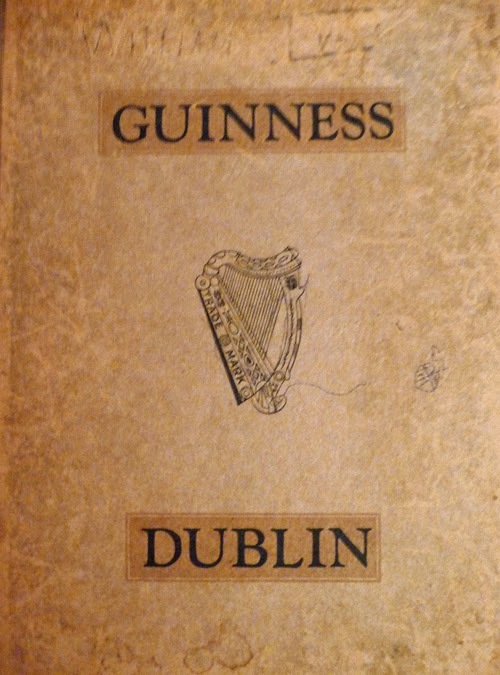 In a chapter entitled Stout as a Beverage & Medicinal Adjunct, which states: “The enormous sales of what is known all over as the world as ‘ Guinness ‘ have been due, not only to the appreciation of the public of its intrinsic merits as a beverage, but to the recommendation of its medicinal qualities by the Medical Profession. Thousands of letters have been received by the Company from doctors, recording their experience of the value of ‘ Guinness ‘ to patients suffering from various maladies and disabling conditions. DIGESTION: “. . . the finest tonic and adjuvant to digestion we possess”. Well, I have spent the past month ill, with a bad back, influenza and a wretched cough and cold, and much as I like Guinness, I can honestly say it has only made me feel more ill in the mornings! 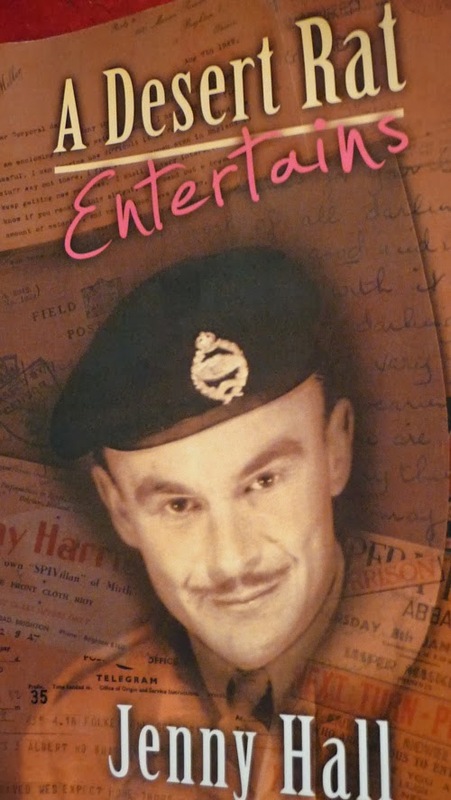 The second book I have read recently is A Desert Rat Entertains by Jenny Hall. Jenny is a relative of a close friend and she launched her book at a packed event at Crawley Library in Sussex on Armistice Day. It is essentially the wartime love story of her parents, Ray and Margaret Doreen Harris, told through the surviving letters from Ray to Doreen. None from Doreen to Ray appear to exist still. Ray was a Desert Rat, a member of the Seventh Armoured Division, who took part in all five of its Second World War campaigns, driving a tank. He also spent part of his time as the leading light of a pro-am troupe entertaining his comrades in arms. A trooper and a trouper. When you get into the swing of it, the book is enthralling. Ray vaguely knew Doreen when they were children as their parents were friends. She gave him some dancing lessons but he did not, it seems, show much interest in her at that time. Ray’s sister Vera suggested that Doreen write to him, using his family name “Son”, while he was in the forces but it took months for him to reply to her first letter and thereafter there was no correspondence between them for a whole year. However, when he was posted to the desert of North Africa, Doreen wrote to him again and, suddenly, Ray found a need within himself for the correspondence. At what seems to me to be an astonishing pace, he went from signing “from Son” to “I hope you will write to me often and look upon me as a boyfriend. . . xxxxxx Yours always, Son” to “Ever yours, Son” to “With fondest love and kisses, Son.xxxxxx”. The following month – December 1942 – Ray wrote: “I wish we were engaged don’t you darling?” and then they were engaged. In between the letters Jenny Hall keeps the readers up to date on what was happening in the War, particularly Ray’s part of it. He did a lot of heavy fighting but led a charmed life, emerging without a scratch while many of his chums fell. Ray made seemingly endless efforts to get leave, eventually pulling it off and marrying Doreen in February 1944, honeymooning in Brighton. After that, he had terrible difficulty getting any more leave even when he is stationed in England and goes off to D-Day without seeing her. The book gives the reader a real impression of how tough it was in the British Army in the Second World War. Ray was doing his work as well as writing and producing shows to entertain the troops. There is no indication of where this showbiz talent came from. He seems to have been of professional standard with friends and contacts in the business. At one point he wrote to the notoriously parsimonious Max Miller asking for some jokes and Max sent him some. I cannot imagine Jimmy Carr posting out his precious jokes (although I once switched on the telly and heard him telling one of mine! - a coincidence perhaps). Post-war, though, Ray gave up entertaining and worked as a coach panel-maker, leading a very quiet life in Brighton and Lewes. Until now I guess he has been an unsung hero and his daughter’s book will do something to address that. 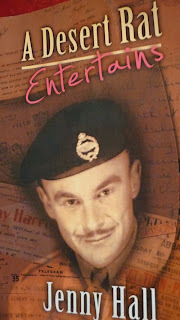 A Desert Rat Entertains by Jenny Hall is published by Pen Press Publishing, priced £9.99. 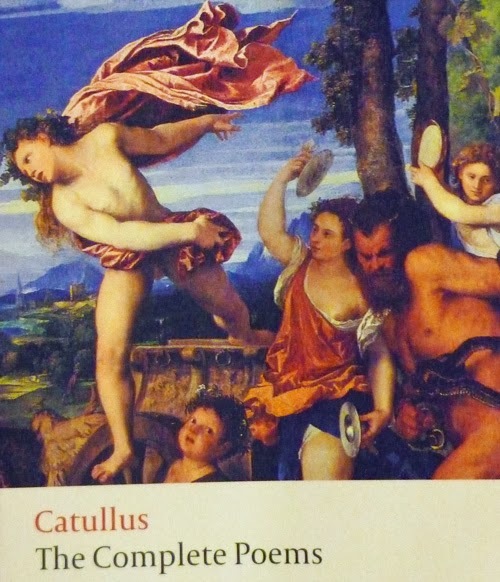 My third book was Catullus: The Complete Poems (includes parallel Latin text). I recall reading Catallus in Latin lessons at Poole Grammar School with the legendary Latin teacher “Pinky” Parkes (whatever happened to him?) and enjoying it. However, reading the Roman poet’s full oeuvre while feeling ill was a bit of a head-blast. I think a lot of it went over my head. Perhaps, I should have read the notes at the back of the book first. Catullus is best known for his bitchy little poems, attacking friends and foes in the most vitriolic terms. One can see why schoolboys like it! I don’t think I particularly enjoyed the experience of reading this volume. It struck me that Catullus was a seedy guy in a sleazy and horribly corrupt society. The Romans have a lot in common with the Nazis. Of course, in the Latin, his technical skill as a poet is apparent and this is largely lost in translation to the English. The long poem – The Marriage of Peleus and Thetis – left me fairly cold. It seemed to go forever and I missed the countless allusions to the stories of the ancient gods. I imagine Catullus felt he had to write an epic to prove his greatness as a poet when really his fans much preferred his catty obscenities. It was a bit like the blue funnyman Roy Chubby Brown assaying to write a piece of Greek mythology. The final volume in this quartet is My Story by The Homeless and Formerly Homeless of Oxford – a book that anyone who has lost a home would understand. An unidentified researcher interviewed a selection of residents of O’Hanlon House, Oxford, about their stories. Some of them subsequently chose to write their own stories which were just gently edited by the researcher to excise curses. However, most of the power over the content of the stories was definitely in the interviewees’ hands and it shows. For me the most heart-rending story was Andy’s. He lost his home after the breakdown of his marriage and ended up sleeping rough for a month during the coldest March for half a century. 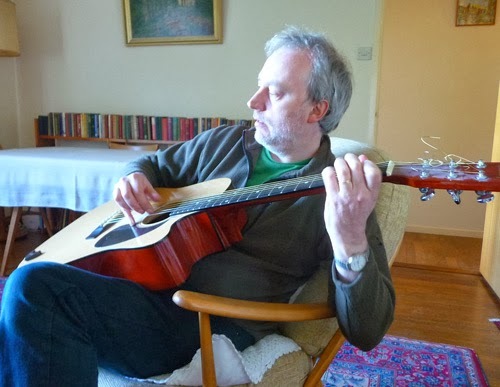 Since he found a place in O’Hanlon House his main desire has been to see his son but his wife has done everything in her power to prevent this from happening. The other stories cover the full gamut of nightmare childhoods, drugs and drinks addiction, criminality, depression and abject despair. Perhaps, the strangest character was Marcel who says he has no drink or drugs issues but managed to get kicked out of home (he does not explain what happened) and has lived in its car, parked outside, for seven years! Marcel seems remarkably together and almost decadent in his approach to homelessness. 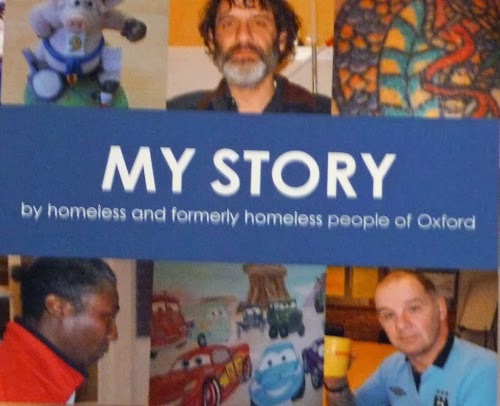 He saved up his pennies until he had enough money to go on a champagne hot air balloon trip over Oxford, commenting: “I needed that one thing that would stand out in the multitude of homelessness within the town”. He also went on a three-day canoeing trip. This I found particularly amazing. If you were homeless, would you choose to go camping? I have moved onto a book my mum has lent me but my quest to read all of my books goes on. Reading helps keeps my mind off other things. I am not sure I am looking forward to Christmas. It will be a break but for the past couple of years Christmas has been a sad time for me. 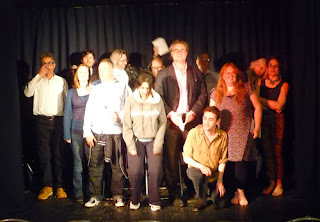 For the past few months, I have been attending a drop-in acting class in Brighton and have acted in three productions. It has been a very interesting experience for me. True, I spent a number of years performing stand-up comedy and poetry, but have never really tried acting. I have always wanted to do so. I recall that, aged 14 or 15, in the Fourth Form at Poole Grammar School, I auditioned for a part in the school play, Romeo and Juliet. I spent half a night up in my bedroom reading the play aloud, trying to understand the Elizabethan language, and practise the parts. The next day, I read for a part, any part, and got nothing. Not even an extra's walk-on! I felt totally excluded. It was perhaps my first experience of a clique in action, but I did not realise it at the time and was well put off acting. I did, however, continue to be interested in show business of every sort and, while not-studying for a physics degree at university, was soon DJ-ing and doing sound and lighting for bands including some famous ones visiting the students' union. In my final year, I was out of the blue offered a part in a German play, Bertolt Brecht's Der Gute Mensch Von Sezuan (The Good Person of Sezuan), in exchange for doing the stage lighting. It was a great experience. I was in seven scenes, albeit with only one line (in German) in total. 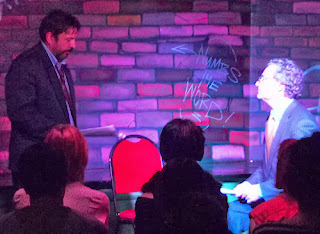 I also designed and operated the lighting (and had an assistant for when I was on stage). I had already to work my way through the showbiz disciplines, writing about theatre, film, pop music, comedy and television. As a post-graduate journalism student in Cardiff, I spent a great deal of time writing theatre reviews and did stage lighting for a production of Harold Pinter's Landscape, which had a lighting change or two every single minute of the show. In my first job, I was theatre critic of the Hull Daily Mail, reviewing the world premieres of John Godber's early work at the Spring Street Theatre. I went on to work for national newspapers (and The Stage newspaper) writing about famous actors and reviewing their acting for more than a decade. So, to get to the point, it seems weird to be trying acting myself - and to find out how hard it is. 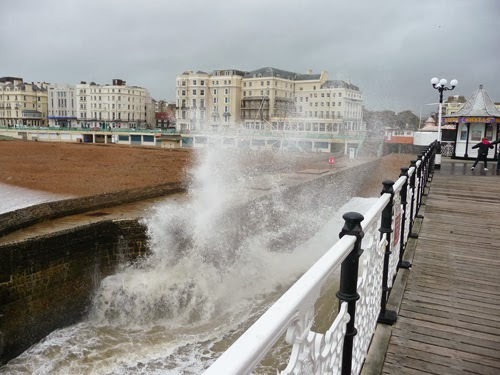 I slipped into it by accident, dropping into my local pub, the Iron Duke, Hove, at last orders one night some nine months ago. I was supping a pint of Harvey's and reading a novel, when a extraordinary bunch of characters swarmed out of the backroom and seemed to overwhelm me. There was a buzz about them. I asked one of them what they had been doing and discovered that they were members of a drop-in acting class called Working Toward Performance. 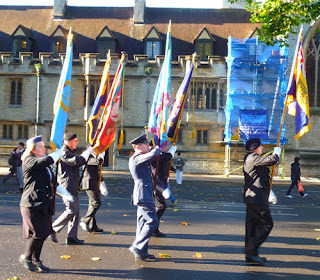 I met the tutor, Steven, who suggested I join - and so I did. The way the group works is that anyone can drop into the weekly class (£8 / £6 concessions). Beforehand, Steven will have selected a number of duologues - two-person scenes - and he then tries various cast members in different scenes. The whole groups comments on the quality of the writing and whether to choose the scene for the production night. People drop in and out of the class and, after various classes, Steven casts a number of scenes, ensuring that everyone still attending has at least one scene to appear in. Then you practise and practise and learn your lines, although you are advised to take the script on stage with you for the performance. Performance night is in a proper theatre space in a pub, with proper costumes and stage make-up, if required. In my first run I played Mike (performing with Sadie) in Joe Orton's Ruffian On The Stair, at the Duke Box Theatre at the back of the Iron Duke. I know Orton and has read all of his plays, so it was a fun one for me. 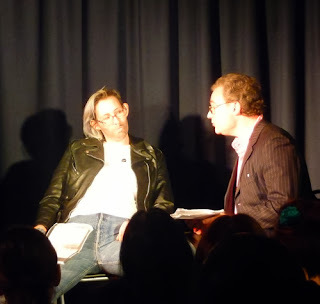 It went well, although I guess I looked at my script a bit too much on stage, out of fear of forgetting lines. 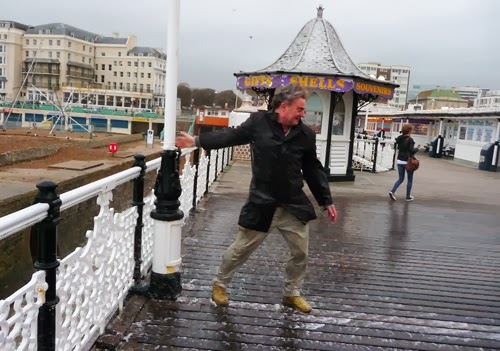 The second run saw me in a Patrick Marber play. Strangely, I had never read any of his plays which was silly because Closer is brilliant. It needed almost no rewrite from him to become the screenplay of a hit Hollywood movie (starring Julia Roberts and Jude Law). In my Working Toward Performance scene from Closer, I played (Dr) Larry who comes acropper at the hand of a seedy obituary writer (played by Francesco). 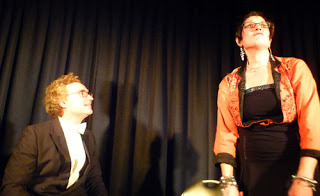 It was a thoroughly fun part, performed at the Hobgoblin Theatre, Brighton, and my best performance to date. My latest effort, last week, was not such a success. I have been trying to make some sense of a Neil Simon comedy called California Suite which was also a film starring Jane Fonda and Michael Caine among others. It is a play in two acts, set in a Californian hotel, with different stories relating to visitors from New York, Philadelphia, London and Chicago. The whole thing is good but there is one very quiet, fairly weak scene involving the Visitors from London, and, while suffering from the influenza last week, I made a real hash of trying to wring some laughs of a script in which a supposedly quintessential English antiques dealer has naff lines like: "I could have gotten a nice tan". Unfortunately, my attempt at a posh, somewhat mauve accent sounded Monty Pythonesque after my voice started to go. All the same, it was a good experience, particularly working with Liz, and you learn from every role. Despite my efforts, the show that night was excellent. I particularly enjoyed Janice Jones and Bob Glaberson in a scene from Who's Afraid of Virgina Woolf? Completely hilarious. I shall certainly be going back for another go next season. * I seem to have been sick for weeks and weeks - with a sore back, flu and now an appalling cold. I have rarely felt so ill for so long. It was good to see my brother Nic in Oxford (he tried to teach me some guitar tips) and to see the Remembrance Parade with my Dad. The weather has been very mixed, from the November unbelievably fabulous to the expectedly totally appalling. 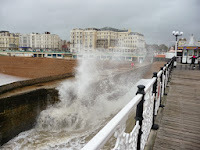 On Brighton Pier one day, a wave went right over me and I was drenched to the skin. And, yet, some mornings, catching the 7.14am commuter train, it is totally sublime.